Once upon a time, there was a girl with golden locks. But that's just the beginning of this tale. The real story begins with a bear. 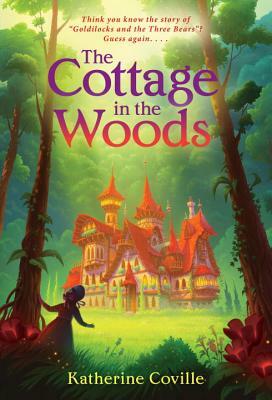 Ursula is a young she-bear who has come to work as a governess at the Vaughn estate. Although she is eager to instruct her young charge, Teddy, she is also frightened, especially when inexplicable things happen in the huge house after dark. Ursula is sure she has heard footsteps in the hallways at night, and that something is following her during her walks in the Enchanted Forest. Then there is Mr. Bentley, a young bear also employed by Mr. Vaughn, whose superior disposition is enough to drive Ursula to tears ... and yet why does he also make her heart race? As Ursula works to unravel the mysteries of the Vaughn manor, she will have to be very, very careful. After all, true love, justice, and a girl with golden locks are at stake. And in the Enchanted Forest, not every fairy tale is destined for a happily ever after.